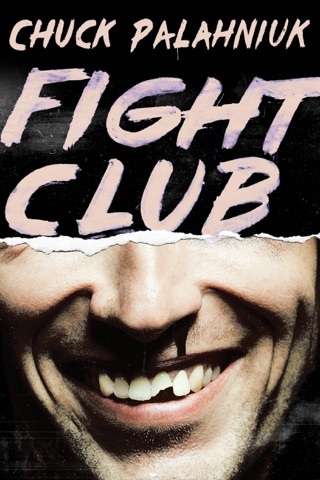 What elevates Palahniuk's best novels (e.g., Fight Club) above their shocking premises is his ability to find humanity in deeply grotesque characters. But such generosity of spirit is not evident in his latest, which charts the trials of a group of aspiring writers brought together for a three-month writer's retreat in an abandoned theater. The novel intersperses the writers' poems and short stories with tales of the indignities they heap upon themselves after deciding to turn their lives into a "true-life horror story with a happy ending." They lock themselves in the theater, reasoning that once they're found, they'll all become rich and famous. They raise the stakes of their story by first depriving themselves of phones, and then of food and electricity; eventually they cut off their own fingers, toes and unmentionables before they start dying off and eating each other. Palahniuk tells his story with such blithe disregard for these characters that it's hard not to wish he had dispensed with the novel altogether and published, instead, the 23 short stories that pop up throughout the book. For instance, "Obsolete," about a young girl about to commit state-mandated suicide, and "Slumming," about rich couples who pretend to be homeless, play so deftly with expectations and have an emotional core so surprising that they consistently, powerfully transcend their macabre premises to showcase the heart beating beneath the horrors. 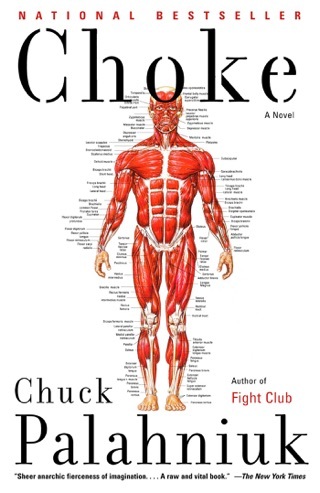 I like Chuck Palahniuk, I think he's a really imaginative guy and a really smart writer, but sometimes he plunges into the depths of pretentious nihilism and can't dig himself out (we love war, we love global warming, we love acid rain, all that bs) and portions of the book are weighted down by this. Also, I couldn't find the book remotely scary or, really that disturbing because the stories just got to points of hilarious ridiculesness (I do admit I gagged during Guts). Not that that's a bad thing (I'll say it again: Chuck's got a colorfull imagination) but I think he was really going for the shocking and disturbing depravity of something like say American Psycho. He just doesn't have Bret Easton Ellis' chilling realism, and that's a good thing. If there's one thing I can't stand is rip-off artists (Although Chuck and Bret share similar themes of capatalism and extreme violence and are both grouped into the transgressive writers catogory, and Bret Easton Ellis is cited as one of Palahniuk's influences, oh wait, there might be a lot more similiaties between them than I thought). The problem is that the book lives in such a detached world that it's hard to be disturbed by it's gross out gruesome violence when you feel your not even on the same planet with these people. Part of the problem was that the characters actions weren't really realistic, they were driven to cut off their toes and slit their noses and do other horrible things to themselves so fast that it just didn't work. Also, the constant emphasizing of the characters narcassism, (splitting the stories in that many less ways as people died, the mythology of us) all that just became overbearing as hell to me. Chuck, I get it! They are shallow! They are very, very shallow people who are just involved in themselves and only care how they'll look on the cover of People magazine after the whole ordeal is through. I get it! After all that ranting I do have to admit, sometimes stories were either pretty-good, really-good, or flat out great. And there were those one or two that were completely pointless and dumb (the people cross dressing and getting punched to raise money to crash a plane, well, I won't spoil it, I just found that one to be terrible). At least 90% of them were imaginative, even some of those that misfired. 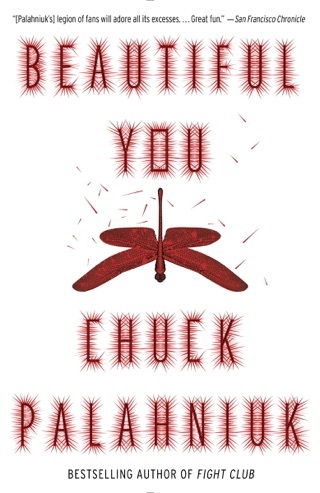 I can understand some complaints by critics saying that Chuck is just looking to shock and disturb with his writing, and there's no real depth in it, and I though I don't completely agree with that I can understand that from a critical view point. 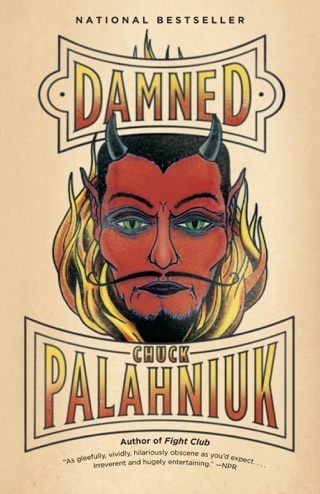 I felt drained after reading this book, and felt like never wanting to read another palahniuk book again, not because the book was bad, just because it was way too much Palahniuk for one book. 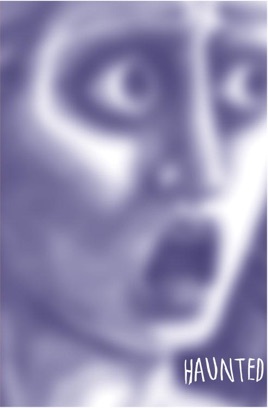 It was bursting to the seams with Palahniuk. If Chuck just had published these as a group of short stories without the terrible narrative thread holding it together, and maybe grouped the more comedic stories and the more horrific stories into two diffent books, then we might get somewhere. But for now, this book is always going to be this way, dysfuctional, sometimes great, sometimes terrible, most times pretty good. Oh, and before some people get up in arms because I don't get it's social commentary or it's "devastating" revelations on the human race, listen to this. I get it's social commentary, I really, really do, but there's nothing I hate more than getting bashed over the head by social commentary, and I especially don't like it if that social commentary is as one note as it is in this book. And the so called revelations on the human race? There just unrepetentlly nihilistic, like marathoning 14 hours straight of Michael Haneke movies, lighten it up a little, please, for everybody's sake. I feel like a very divided person right now. It was really hard to score this book. 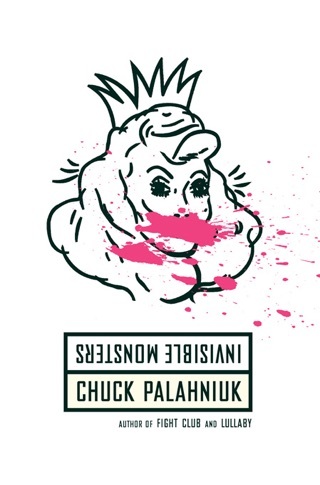 One last thing before I conclude, a note to all Palahniuk fans, of which I consider myself one (not a fervent one, admittedly), rate a book on it's own merits, not on the sickness of it's content. That's like rating Seven a 10/10 because it showed the aftermath of a man skinned and tied down to a bed, and not giving it props for it's brilliantly precise cinematography and viciously brilliant and emotionally devastating ending. Palahniuk, take note. That's how you end a story like a boss. Not with the sentence "the mythology of us". In short, it's a mixed bag. 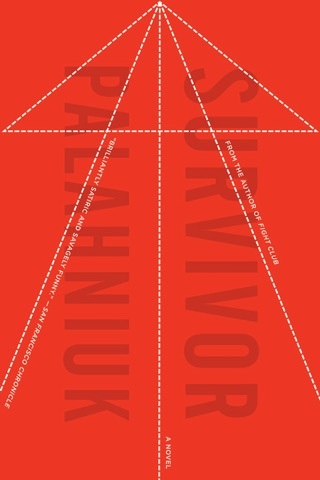 But it's a Palahniuk mixed bag, which means it's at least going to be interesting. This book is crazy, I LOVE IT.